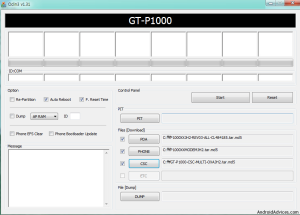 For all the Galaxy Tab P1000 owners there’s a great news for all of you as you too can taste all the latest firmware to your Samsung Galaxy Tab, we have been expanding the firmware upgrading database from firmware upgrade guides for Samsung Galaxy S to HTCs to the Motorola’s etc. 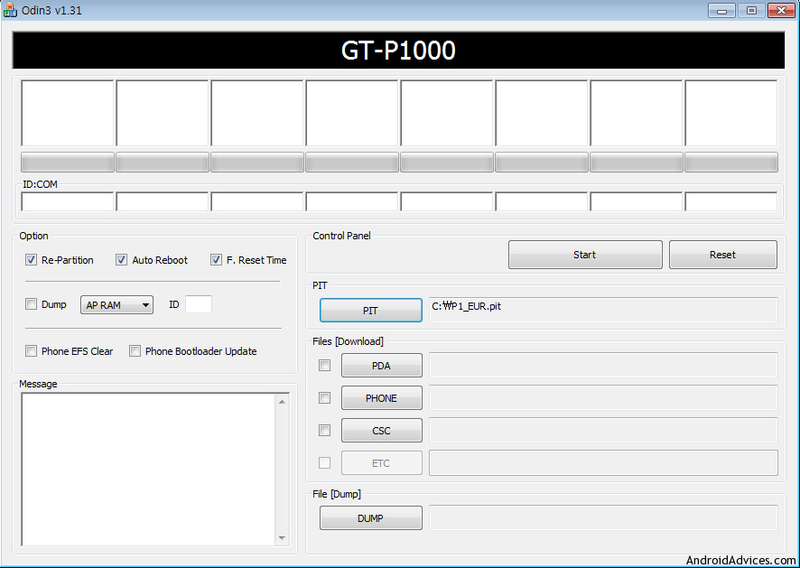 So, now let’s check out on how you can flash your Samsung Galaxy Tab P 1000 with the latest firmware build release which is XWJMK 2.2 version. The best part of this is that this has got a minute tweaks in terms of Samsung’s virtual keyboard adding to the list it has also got a better Samsung’s Touch Wiz experience with some tweaks in this one too. So, before we proceed you need to understand that this is not an Official public release ROM though such beta releases are the test releases which Samsung gives out to its beta tester and we just extend this program with you in the form of these tutorials, so we have no responsibility if your Galaxy Tab get damaged as bricked, however we will try to help you out as much as possible and in a very rare case the Galaxy Tab gets bricked. Rest assured if you follow the procedure as it’s mentioned below there is no way that you will be able to brick or lock your Samsung Galaxy Tab. 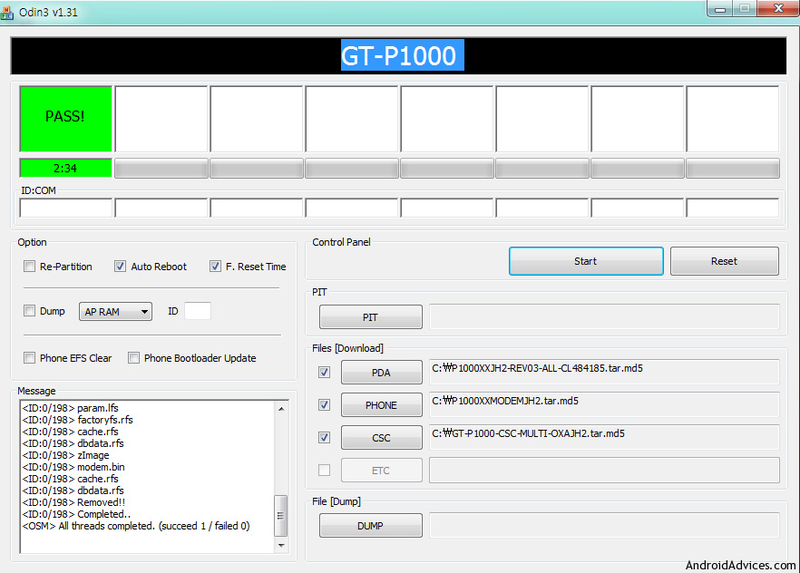 Do, ensure that the firmware which you will be upgrading is only on Samsung Galaxy Tab with the model number as P1000 and nothing else and also this firmware update is not applicable for all those whose Galaxy Tab is either Network specific or Locked as this will brick your Galaxy Tab. Only Network free Galaxy Tabs can be updated with the procedure mentioned below. So, if you are new to the firmware upgradation process, you will have to ensure that you have created a backup of all Contacts, Messages, Applications, Images, and Videos as in the due course of the firmware update your device will be completely wiped which will eventually erase all the things in your phone, though after creating the backup you can easily restore back all the contents including the Call log too. Also, ensure that the phone is charged more than 50% so as to facilitate the smoother firmware update as the firmware update generally requires higher battery life though higher the battery life is always better. Also, ensure that all antivirus, firewalls etc. are closed as these may interrupt the process of updation. Most importantly close entire operations of the KIES software suite on your computer as this may interrupt the installation process. Also, it’s recommended to remove memory card or the SIM card if any so as to further ensure that data is not lost in these mediums. Also, installing this firmware doesn’t mean that it will root the device or void the warranty only when you Root the Galaxy Tab, the warranty gets void. First up you will have to download the Complete XWJMK firmware flash kit from here after which you will have to open the Odin’s exe file from the downloaded package after which you will see that a pop up screen will be launched which will look like the below shown screen shot. 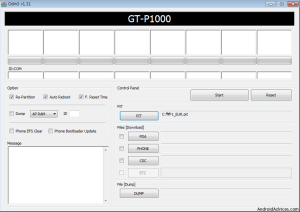 Now, after opening the Odin, in the Option list as shown below, you will have to check all the options in the Option field which are “Re Partition”, “Auto Reboot” and also the “F:Reset Time”. Now, as soon as you update all the option fields with the check marks as shown in the red circle below, you will have to next choose the PIT file. Next up you will have to put your phone in the download mode which can be done by pressing the download mode and then by holding the volume down button you will have to switch ON the device as shown in the below pictured manner. Now, there you go you can now hit on the Start button after which you will have to wait for a while till the Green colored “PASS” box is not shown up which is shown below. It may take 3-5 minutes to show up this box. 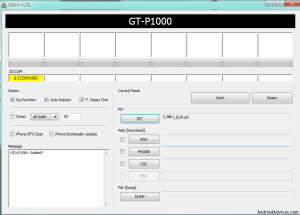 Now, next up you will have to click on the Reset button and then you need to just simply un check the “Re Partition” box and then you will have to select the PDA, Phone and CSC files which are in the downloaded zip file of the firmware n the respective options as shown in the below screen shot. After this remove the battery and then enter into the download mode as by the above mentioned method by putting the battery again into the device after which selecting all the options like PDA, Phone and CSC you need to click on the start button as shown below after seeing the Green colored PASS button. So, that’s it you have now successfully upgraded to the new latest firmware of XWJMK Froyo 2.2 version for your Galaxy Tab. Now to simply find via the code whether you have upgraded the firmware or not successfully, all you need to do is to just simply enter in the code as *#1234# after which you will be able to see the device’s version number along with the firmware version in detail easily. 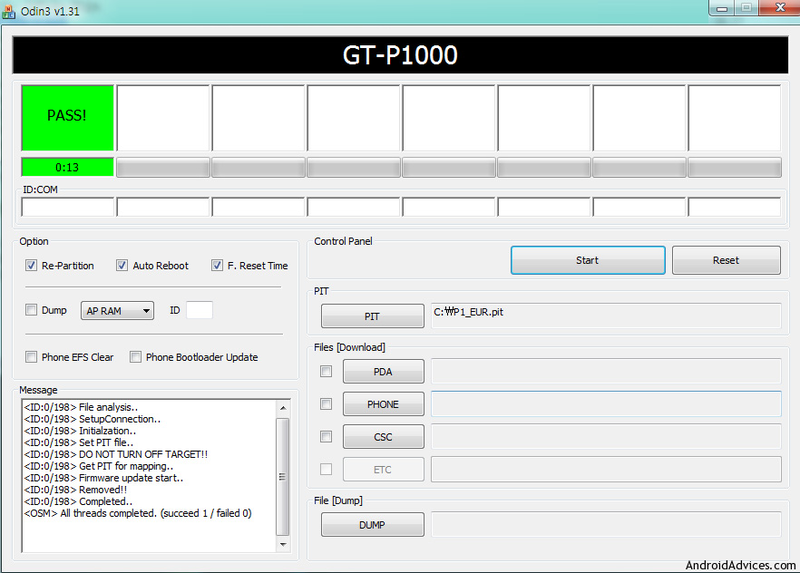 Do, let us know if you face or any issues while updating the firmware of your Samsung Galaxy Tab. when i connect it to the computer it installs the drivers and everything but nothing happens, MY COMPUTER detects it but im unable to access the drive from my computer. I unplugged the tab, press the Power button, press power + volume down, press power + volume up, press power + volume up + volume down, and still the same, i can get it to work. Can you please assist me on this? currently on which version of firmware you are on? what blanks are you talking of websites? Kindly explain the same! you can install Skype from AndroidAppslabs.com site! no have the to solve? which model you flashed with? I get confused from the start. should i do it on pc on Galaxy tab first. i mean i should dload the zip on tab or pc? download the zip on your pc! first let me thank you for your great support, i followed your steps and got my Gt upgraded. many thanks, but actually i have only one problem, I can’t get the arabic language supported ! whenever i check to an arabic site, the words shows unconnected. any suggestions? if there’s no solutions, how can i get the original firmware back? as of now it doesnt support arabic! thanks you so much !! my galaxy working well . thanks james for your update! 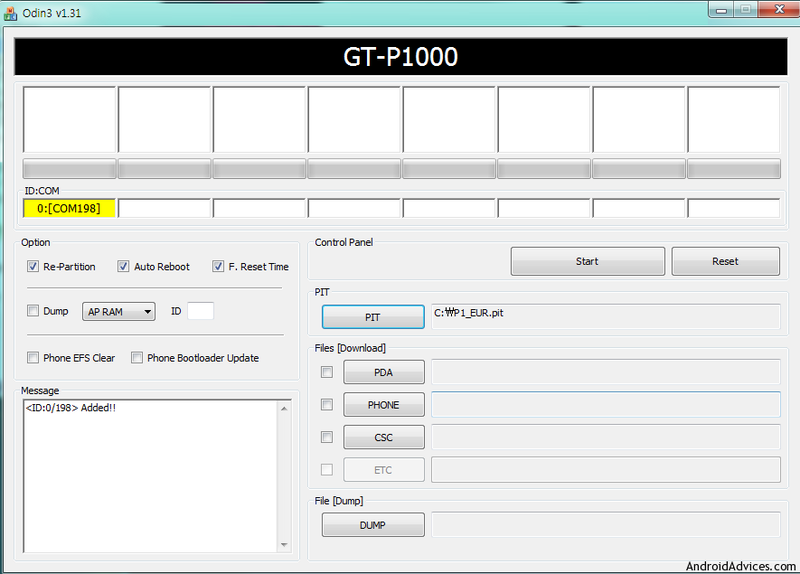 After loading the firmware my tab is now changed to German language..pls advise how to change back to English? you can change from locale and text! have yo tried restartignt eh computer and then applying the update!? are you sure that your tab is not locked!? You made my Galaxy Tab alive again! Thank you so much! Well, after lots of looking and trial and error…..I finally got my tab back to working conditions thanks to this thread. Too bad it is not the original version of my firmware, but the important thing is that it is alive and kicking….just have to go and reinstall everything, but hey…..when is it that you do not have to do this sort of things when working with digital devices…. @Orlando glad to know that you have successfully updated your tab! i’m a newbie in this. 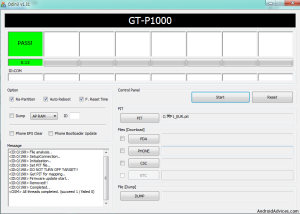 i’ve just downloaded the XWJMK firmware flash kit but it wants a password for extraction. can anyone help me out? @bub its mentioned in the article! please can you give the password to oppen the odin and the other files. thank you. i have downloaded the P1000XWJMK file. When i open odin i cant get it to recognise the pda, phone and csc files. I can see them in winzip but dont know how to get them into odin. The pit file gets found straight away. Am new to this since i managed to some how corrupt my tabs android process n start up. Hi Neal, I am in Australia and I have a Telstra branded tab (GT-P1000T). I bought it unlocked (so there is no warranty with Telstra). Can I use this update on my tab? I can go back in the time and now all work VERY well. can I use the attached files to update and remove the branding? essentially I only have problems with the built-in email app and exchange (folders not showing). Hey @david it’s not recommended as you will lose warranty! I would imagine so…but now I’m not able to use email@exchange. Is there any way to backup the branded rom in case of a warranty repair? Please help what do i need to do now? @leo pull out the battery and restart the process! Where is the Odin’s exe file ? Sorry but I am a little new to all this ? Hi @Rohit, we are fixing the issue! juz give us some time, will intimate you once its fixed! 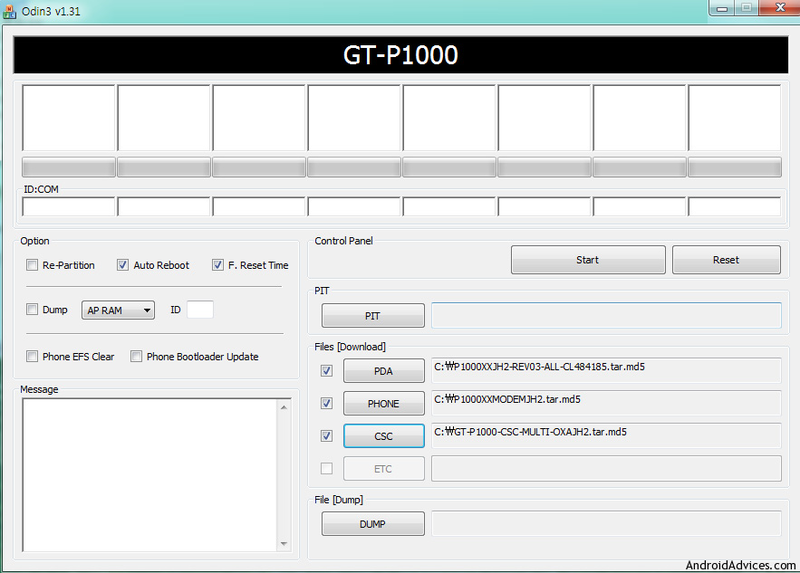 Hey Neal, I wonder if you could help me mean, I am desperate,, I tried to flash the firmware on my galaxy tab gt-p1000 and all I get now is and log of a PHONE+EXCLAMATION MARK+PC. I can’t get to recovery mode nor download mode. I can’t do anything basically,, any idea how to fix this problem, I would appreciate it if you could help me. have you tried pulling off the battery? 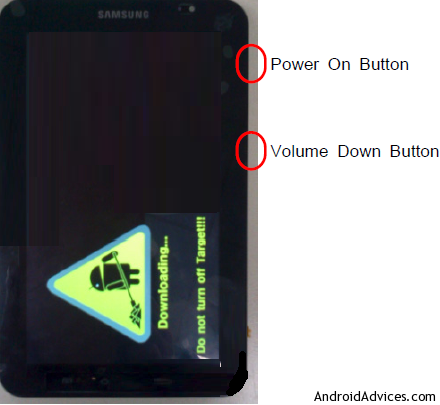 you cannot remove the battery on a samsung tab. what are you saying to remove and the then place the battery again. confusing man. @rfamisn its mistakenly being mentioned, ignore that step! @william yes you can update! 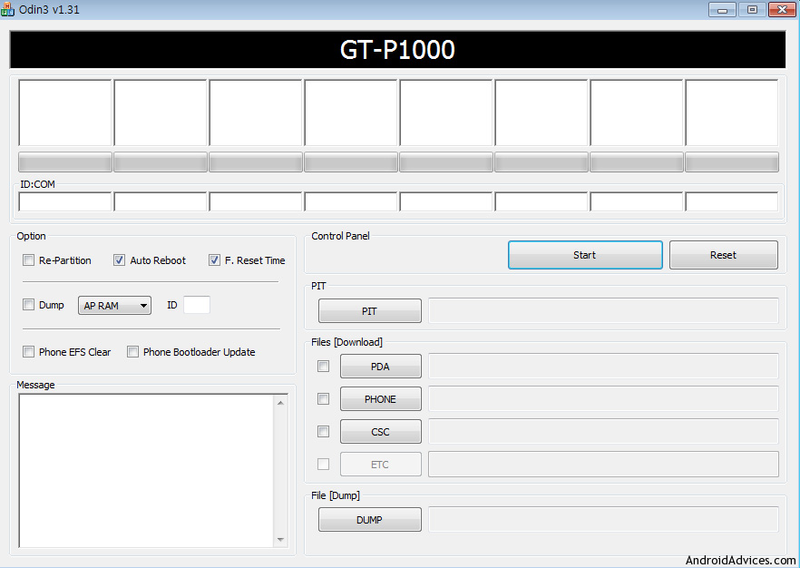 can i update my tab with this model GT-P1000? please reply with my email? Did you find the PIT file ? Cause I am also not able to find it. Also is there any link to Odin to download ?